Start Speaking French - Unscripted! 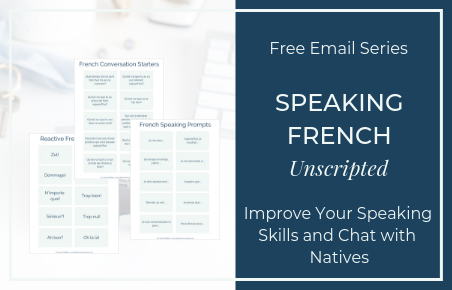 Sign up to receive the free email series filled with tools & strategies to start speaking French - unscripted! Send the Tools & Strategies ! Yey! You're About to Start Speaking French!